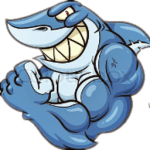 Transmission is a nice lightweight torrent client that is perfect for the Raspberry Pi. Transmission will work with the major searchers: SickRage, CouchPotato, Mylar and Headphones. 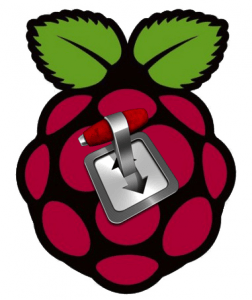 This guide was created for Raspbian September 2014 release and is the easiest way to install the latest Transmission 2.84 currently on the Raspberry Pi. Warning: this forces some Jessie repositories so it can cause issues with other configurations you may already have on your system, proceed at your own risk. Paste this code. Pinning forces jessie to be of a lower priority so it doesn’t conflict with existing packages, a value of -1 means only packages we specify to be installed from jessie will be installed from there, no other packages should be affected unless they are dependencies. Add the Transmission user to the pi group which will prevent permission issues as long as you download to hard drives that are owned by the pi group (if you follow my hard drive mounting tutorial then it will work). Transmission should autostart on boot but as the debian-transmission user which is not convenient if you want to manage the files from WinSCP as you will get a permission denied error. You can edit the init.d script or use upstart to have all the files downloaded by transmission to be owned by the pi user. Choose only the init.d script or the upstart script. Editing the init.d script can prevent further permission issues but then your rpc password will be stored in plain-text, this should not be necessary. The upstart method is not necessary unless you have issues with the default init.d script. Upstart can mess with debian based systems so consider yourself warned. Enter Yes, do as I say! Scroll all the way to the bottom and add or change vm.min_free_kbytes =16384 and press Ctrl+X, Y and then Enter. Happy torrenting on your Raspberry Pi with the Latest Transmission torrent client.